Built in 1865-66 by Emeline Warner Arms, the widow of Myron I. Arms, this house was originally in the Italianate style. It was remodeled in the early 20th century to reflect the contemporary Mediterranean style with a tile roof, stucco exterior cladding, and front porch with Tuscan columns. Myron Arms was the owner of the Eagle Iron Furnace in Brier Hill. He died of disease acquired during his service in the Union Army in 1864, two years before his new home was completed. 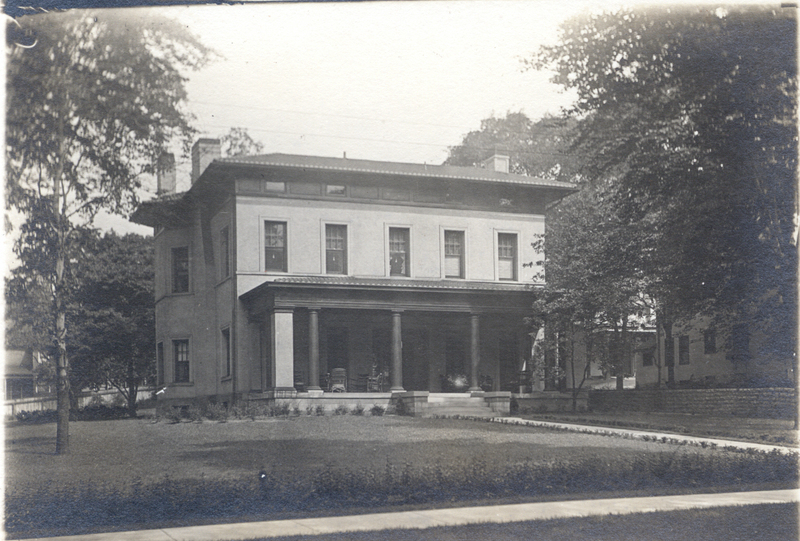 This structure, which is the oldest still standing on Wick Avenue, is now Youngstown State University’s Alumni House.